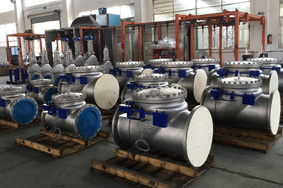 Stainless steel globe valve is suitable for various pipelines of corrosive medium,providing good corrosion resistance and sufficient strength Alloy steel globe valve with high temperature resistance is appropriate for heat resisting steam,oil pipe. Main materials of stainless steel globe valve :CF8, CF3, CF8M, CF3M, 2520, duplex stainless steel,etc. Products are mainly used in electric power, petrochemical,chemical, metallurgy,and other industries. Parts of stainless steel globe valve:​bonnet,valve disc,valve stem,stem nut,hand wheel,ect. 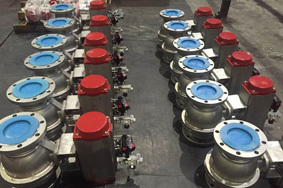 Stainless steel globe valve is suitable for various pipelines of corrosive medium,providing good corrosion resistance and sufficient strength. Alloy steel globe valve with high temperature resistance is appropriate for heat resisting steam,oil pipe. 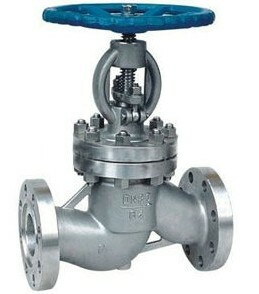 Parts of stainless steel globe valve:bonnet,valve disc,valve stem,stem nut,hand wheel,ect. 2.Globe valve can be installed in any positions of the pipeline.The medium flows from the bottom to upper. 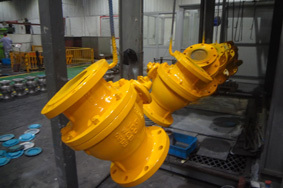 3, Above DN250 adopts advanced seal,double bracket, and the guiding movement.The medium entering from above is a better solution to work out the large open-close torque of large diameter globe valve, sealing unable to be closed and packing running,which effectively improve various performance and application range of valves.